With less than one-third of consumers saying they trust their financial services institution, it’s not surprising that an increasing number of people are migrating from big banks to local credit unions for their banking needs. And it’s easy to see why. The differences between banks and credit unions are many, starting with the very core of their missions: Banks are focused on earning profits — credit unions are focused on their members. What’s more, while credit unions have long been known to offer better rates and fees on checking accounts and loans, they’re also making great strides in the consumer credit card market. A number of credit union cards now rival — or even surpass — their big-bank competition, and we’ve narrowed down the best of today’s offerings. Although consumers have used credit cards years before rewards cards were introduced, today’s crowded credit card marketplace means many issuers need to offer perks and rewards to stand out from their copious competition. But it isn’t just big banks that have jumped into the rewards fray; credit unions are also fielding competitive rewards cards. And some, like our favorite credit union points card, even include signup bonuses and other perks. As issuers use increasingly convoluted bonus categories and tiered signup bonuses to vie for consumers, earning credit card rewards has become a complicated game for many cardholders. The SDCCU Visa Signature® Card eliminates the chaos with straightforward rewards points that offer value without the games. Indeed, the SDCCU Visa Signature® Card provides the same flat 2X Signature Rewards points per dollar on every purchase, with no categories to track or activate. Rewards are redeemable for everything from travel to merchandise, giving users flexibility to suit their lifestyles. Of course, the SDCCU Visa Signature® Card doesn’t just stop at rewards. SDCCU knows that to be competitive in today’s market, you also need to go the extra step with a customer-friendly signup bonus. 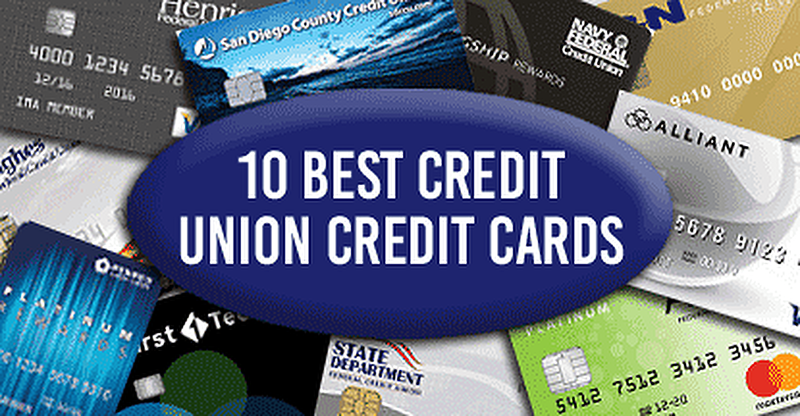 As with any credit union, prospective cardholders will need to join SDCCU to qualify. You can become a member if you live or work in San Diego, Riverside, or Orange counties, or if you are a member of the Financial Fitness Association. It’s often hard to make your card stand out from the crowd in a credit card market full of hundreds of blasé designs. Our top pick for this category not only offers a low-fee card with great rates, but it goes above and beyond to help you customize your card. While it’s easy to love a credit card with good rewards or rock-bottom fees, Hughes Federal Credit Union gives members yet another reason to love their cards: Design a Card. All of the credit union’s credit cards come with access to the card design features for free, but the Hughes Federal Credit Union Visa® Platinum Card stands out as a solid card on its own, offering a low interest rate, no annual fee, and limits of up to $25,000. You’ll need to join Hughes Federal Credit Union — rated the number one credit union in Arizona by Forbes — to qualify for a customizable card. You can become a member by being an active or retired employee of a sponsor company, by living, working, worshiping, or attending school in Tucson, or by becoming a paid member of the Friend of the Library organization for the Oro Valley, Green Valley, or Pima County. The premium rewards cards with metal cores and three-digit annual fees may be all the rage with the serious rewards junkies, but you don’t have to fork over hundreds of dollars just to earn credit card rewards — especially not at the credit union with our top pick for low-fee rewards. On top of unlimited rewards and a real signup bonus, the Visa® Platinum Rewards Card from Henrico Federal Credit Union is about as a fee-free as it gets. Not only will you pay no annual fee, but you won’t be charged a fee for most transactions, which means no balance transfer fees, no foreign transaction fees, and no cash advance fees. Only Henrico Federal Credit Union members are eligible for its credit cards. You can become a member if you live, work, worship, or attend school in Henrico County or one of 20 qualifying cities and counties in the greater Richmond area. Whether you need to establish your credit or rebuild it after a few mistakes, secured credit cards can offer an attainable, lower-fee alternative to expensive subprime unsecured credit cards. And, as in the case of our favorite secured credit union card, they can also be an affordable way to earn credit card purchase rewards. The Savings Secured Visa® Platinum Card from the State Department Federal Credit Union combines pretty much everything you could ask for in a secured card — or any card, for that matter. In addition to reward points, the card also has a low APR, no annual fee, and a 25-day grace period on purchases. Your credit line will be equal to your deposit, and there is a minimum deposit requirement of $250. To become a member of the State Department Federal Credit Union, you’ll need to be a US Department of State employee, employed or affiliated with an eligible organization, be an immediate family of a member, or be a paid member of the American Consumer Council (ACC). In today’s modern digital era, mobile banking isn’t just a nice-to-have — it’s a must-have part of any consumer-facing financial organization. But while anyone can slap together a basic banking app, our top pick offers a full-service on-the-go experience for all of its cards. L&N’s mobile app allows you to track and manage your credit card wherever you go, including making payments, reviewing transactions, lost card reporting, and transaction disputes. You can access L&N Federal Credit Union’s great mobile app to manage any card from the credit union’s suite of Visa cards, but the Visa® Platinum Rewards Card stands out for its unbeatable cash back rewards rate on gas and no annual fee. Cardholders will need to join L&N Federal Credit Union. You can become a member if you live, work, worship, attend school, or belong to any legal entity in eligible counties in the Louisville, southeastern Kentucky, or Northern Kentucky areas. Whether to try new foods, experience new destinations, or simply to get new “likes,” most of us seem to have the drive to travel. Given how expensive travel can be, however, smart travelers use a travel rewards credit card to make the most of their money. If you want the perks of a travel rewards card but the service and community involvement of a credit union, look no further than our top credit union card for travel rewards. The Odyssey Rewards World Elite MasterCard® from First Tech Federal Credit Union proves you don’t have to pay three-digit annual fees for a travel rewards card you can take anywhere. And that chip-and-PIN security is worth a second mention, especially for cardholders who frequently travel to the UK, where PIN verification dominates the credit card market. That’s because First Tech’s cards use PIN verification by default, enabling seamless use even at unmanned payment kiosks. As a credit union, First Tech requires cardholders also be members. You’re eligible to become a member by working for a qualifying sponsor company or for the State of Oregon, by living or working in Lane County, or by being a paid member of the Computer History Museum or the Financial Fitness Association. As many travelers can likely attest, there is a world of difference between a domestic vacation and a trip abroad. New languages, new customs, and new currencies can all add layers of complexity to an otherwise simple journey. While our top credit union card for international travel can’t help you with the first two, it can help reduce the impact of making purchases abroad. Although not considered a typical business traveler, military members can spend significant time out of the country during their careers. So, it’s little surprise that our top credit union card for international travel comes from the Navy Federal Credit Union. The Visa Signature Flagship Rewards credit card has a range of features that make it ideal for international travel, including purchase rewards that offer bonus points for travel, a broad category that includes a host of travel-related expenses. You’ll need to join the Navy Federal Credit Union to qualify for this card. You can become a member if you are an eligible active duty or retired member of the US military, a DoD employee or eligible contractor, or if you are an immediate family member of someone eligible for membership. Nobody likes debt — well, except for the lenders — but high-interest debt is the worst of the worst, those big fees gobbling up funds that could be going to pay down your balance instead. Balance transfer credit cards allow you to move that expensive debt to a card with a lower rate, saving you money and getting you out of debt faster. While many issuers offer balance transfer cards and deals to help combat high interest rates, credit unions tend to have the lowest rates and fees. Our top pick ups the ante even more by accepting applicants with a wide range of credit types. Big banks may get all the buzz, but credit unions often have better deals, and the Aspire Platinum Mastercard® from Aspire Federal Credit Union is definitely a good deal. Open to applicants with fair credit or better, the card has a 0% intro-APR offer for six months of interest-free balance transfers, plus it has no annual fee. This card’s intro-APR offer may not be the longest on the market, but it’s especially lucrative for fair-credit applicants with few alternatives. And the regular APR is lower than your average big-bank card can provide cardholders of any credit type, with purchase and balance transfer rates starting around 10.15% APR for qualified applicants. Applying for an Aspire credit card requires joining the credit union. You can become a member if you — or an immediate family member — work for a Select Employer Group or by joining the American Consumer Council. While credit card points and miles programs keep getting more complex, cash back has remained popular among cardholders for its simplicity, and unlimited cash back cards reign supreme as the simplest to use and redeem. Unfortunately, many cardholders are turning to more complicated bonus category cards in an effort to maximize their savings. But, with our top-rated credit union card for unlimited cash back, you won’t have to choose between no-fuss rewards and a competitive cash back rate. Although a handful of unlimited cards offer a higher-than-standard 2% cash back on every purchase, the Alliant Visa® Signature Card from Alliant Credit Union takes unlimited rewards to a whole new level. This card earns an unlimited 3% cash back for the first year, then a market-leading 2.5% cash back on every purchase thereafter. As one might expect from a Visa Signature card, big spenders will typically get the most value out of this card, and it’s deliberately designed for consumers who spend $50,000 or more on their cards each year. That said, you’ll only need to make around $2,000 in purchases to break even on the small annual fee. You’ll need to join Alliant to qualify for a credit card. You can become a member if you work for a Qualifying Company, live or work in a Qualifying Chicagoland Community, are a member of a Qualifying Organization, or become a member of Foster Care to Success. Given that many of the top rewards credit cards focus on bonus points for travel purchases, you’d think that we’re all constantly flying from place to place. If you’re like most people, however, your regular travel probably consists of a daily commute, making gas — not flights or hotels — your biggest expense. For many cardholders, a great everyday spending card, like our favorite credit union pick below, can be the best way to maximize rewards. With 5X points per dollar at the pump, the PenFed Platinum Rewards Visa Signature® Card from Pentagon Federal Credit Union is one of the market-leading cards for gas rewards, even against big banks. But what makes it a true everyday card is that it also provides triple points on groceries, and unlimited 1X point per dollar on everything else. PenFed rewards points are worth 1¢ per dollar, no matter how you redeem them. Redemption options include merchandise purchased through the rewards portal, as well as gift cards for popular retailers and travel brands. Prospective cardholders will need to join PenFed to be eligible. You can become a member if you are an active or retired member of the US military, work for an eligible organization, belong to an eligible association, are an employee of the US government, live or work in an eligible location, or if you join Voices for America’s Troops or the National Military Family Association. While they both offer many of the same services, banks and credit unions are vastly different in nearly every other way, starting with the fact that banks are for profit, while credit unions are not. Instead, credit unions are all about their members — mostly because, well, credit union members are actually owners, too. And, without faceless boards to whom they must answer, credit unions can turn profits into member perks, like better rewards cards and lower rates. Furthermore, as organizations owned and operated by their members, your local credit union is inherently a part of the community. As a result, many credit unions are actively involved in community outreach, including sponsoring local events and charities.